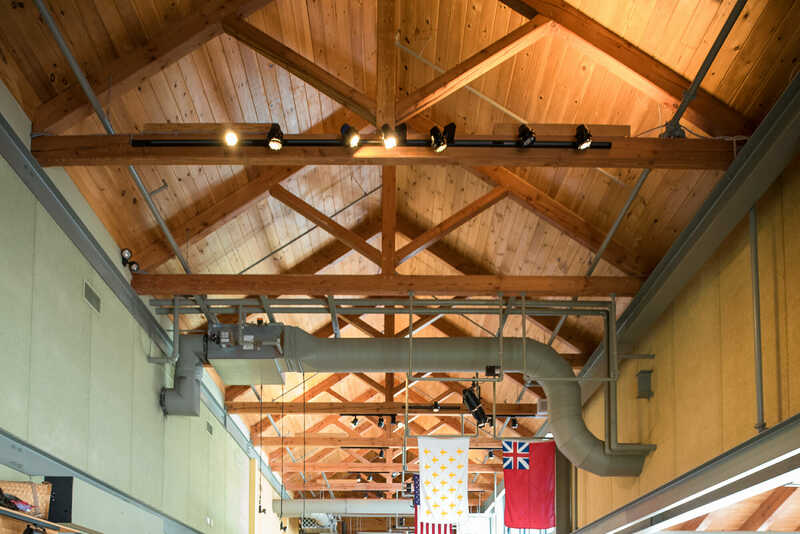 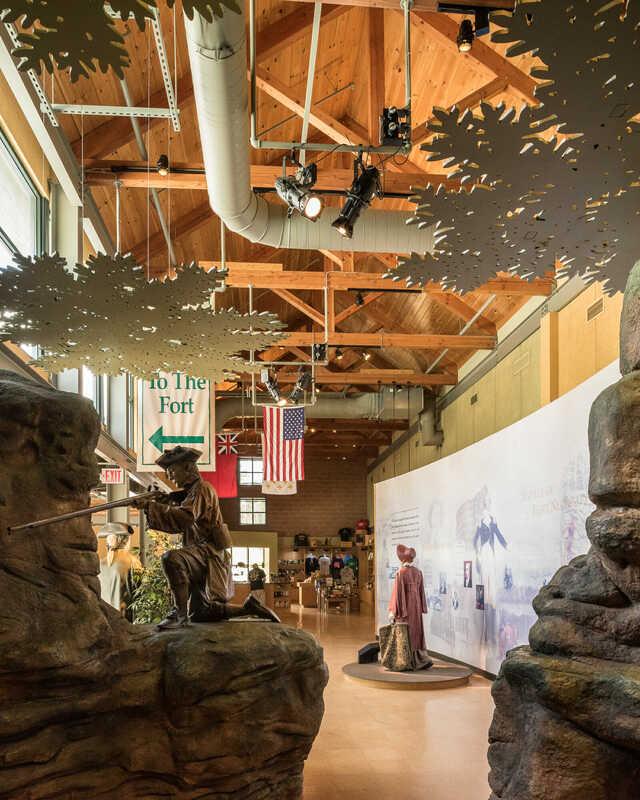 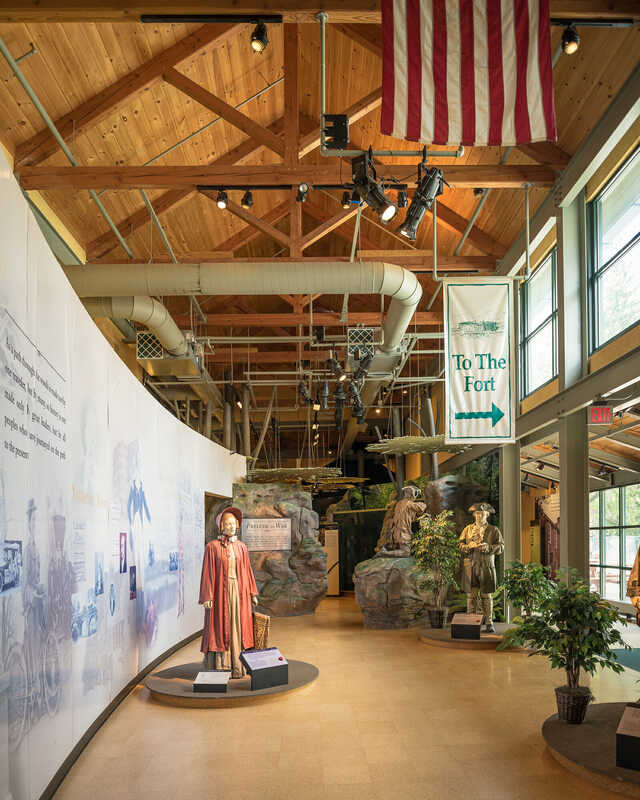 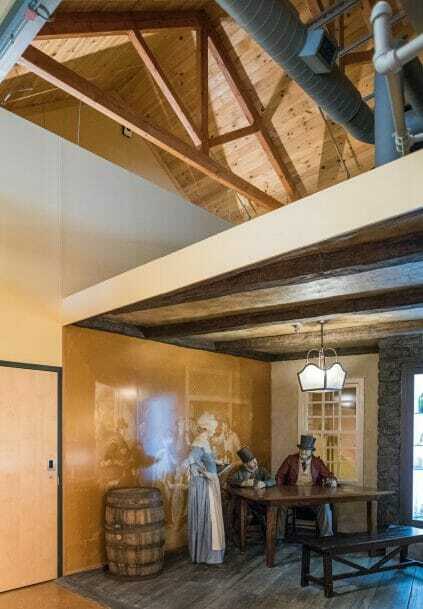 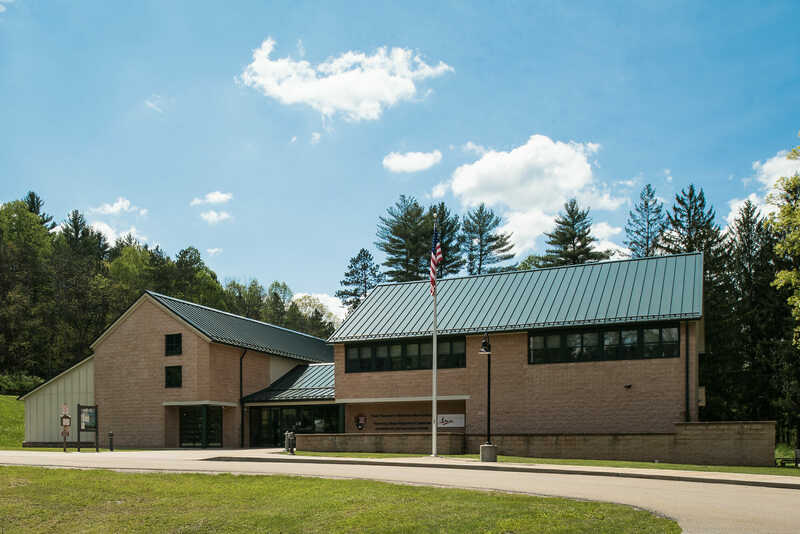 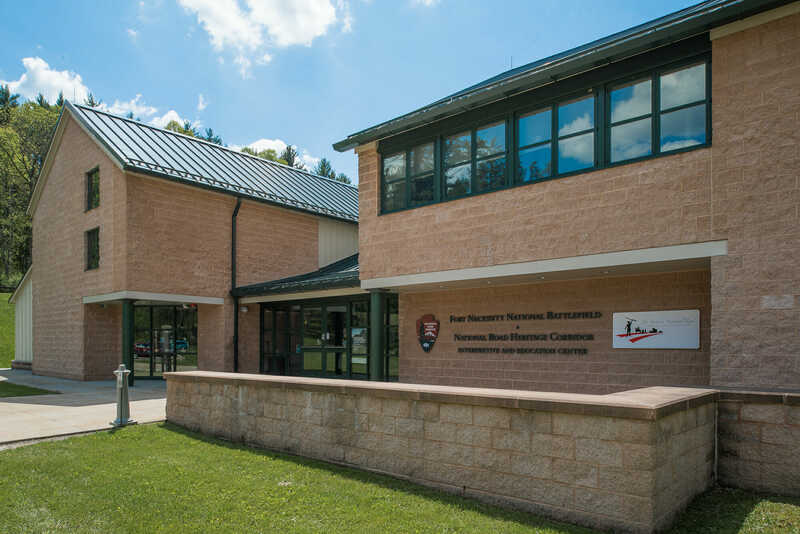 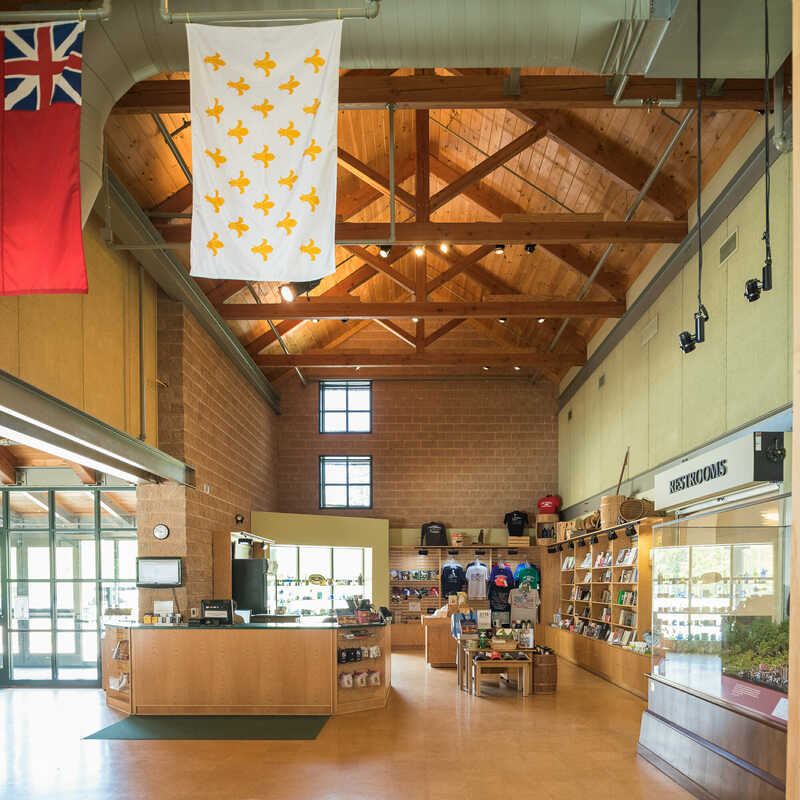 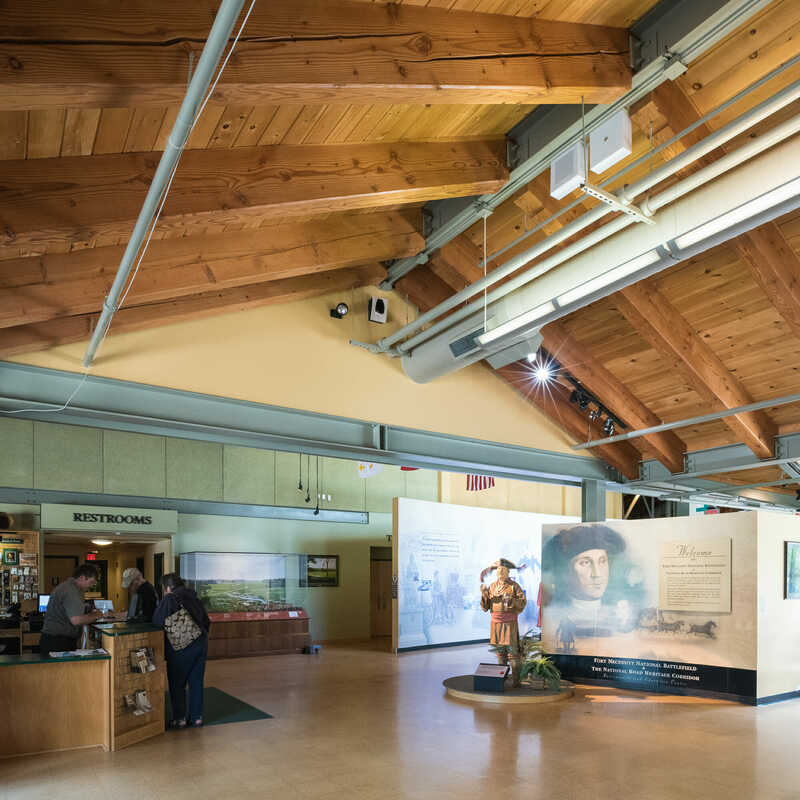 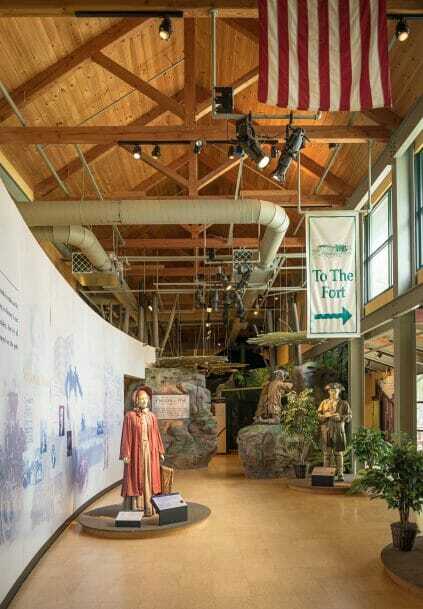 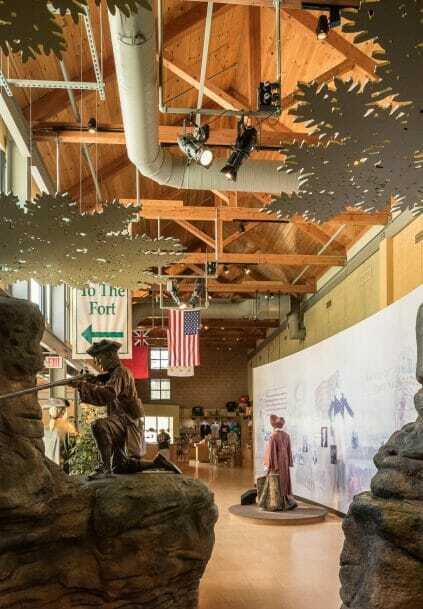 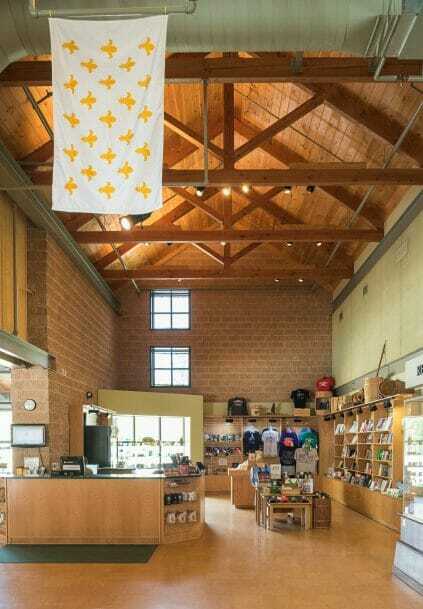 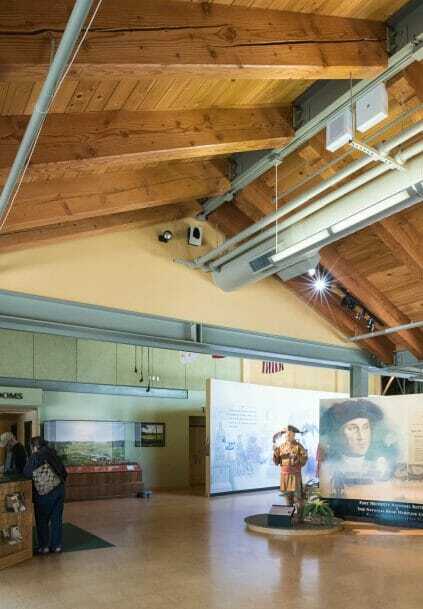 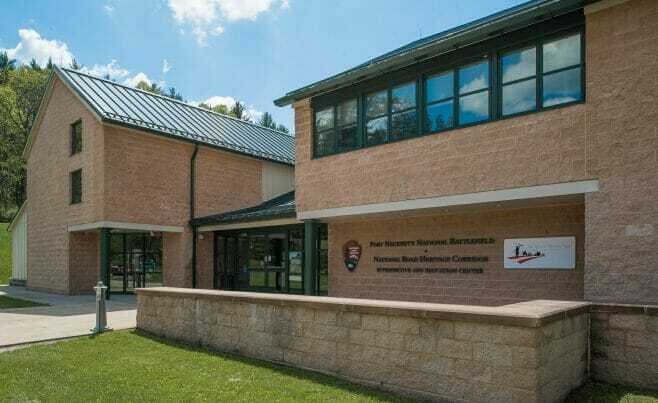 Fort Necessity is a national battlefield site in Farmington, PA. Vermont Timber Works built a custom king post truss pavilion timber frame for the park. 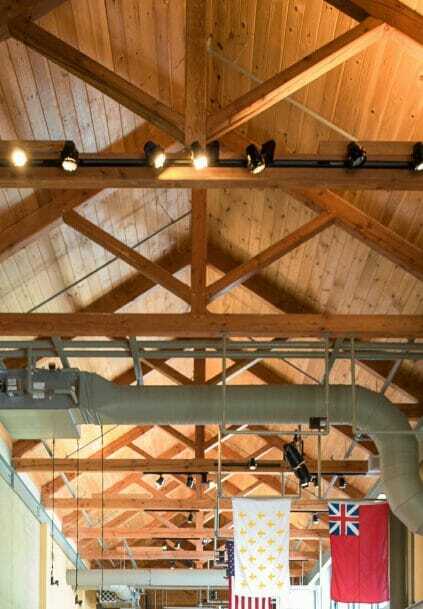 The frame was constructed with douglas fir timber using traditional joinery. 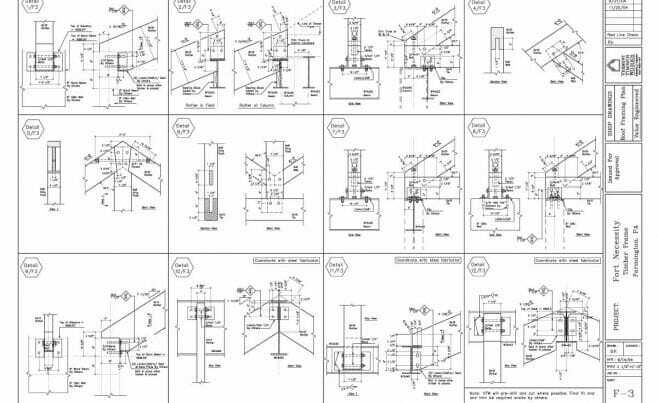 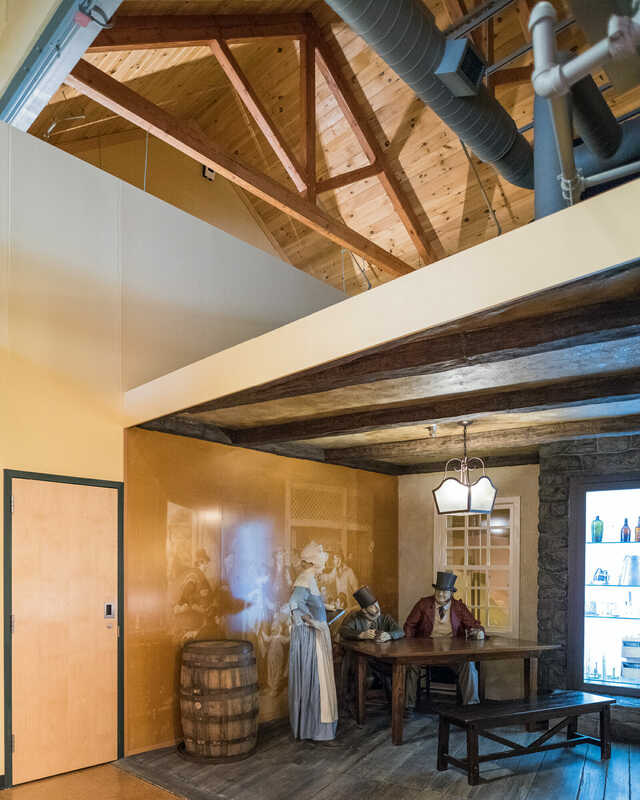 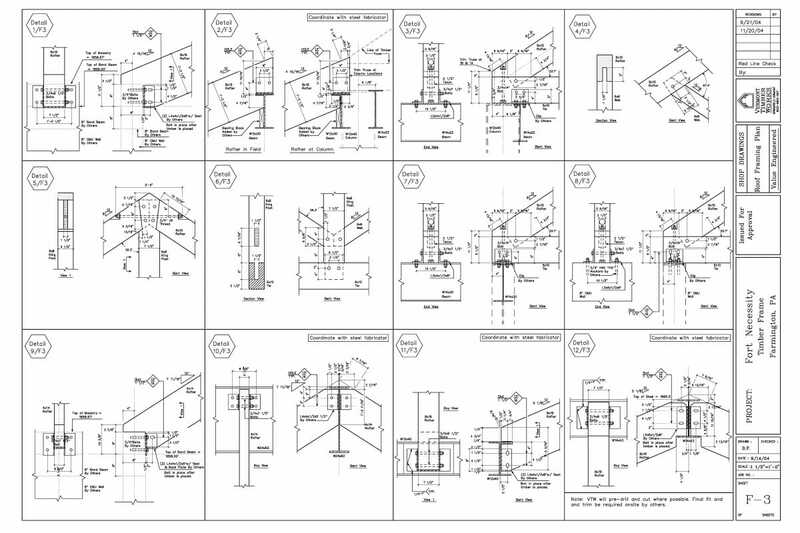 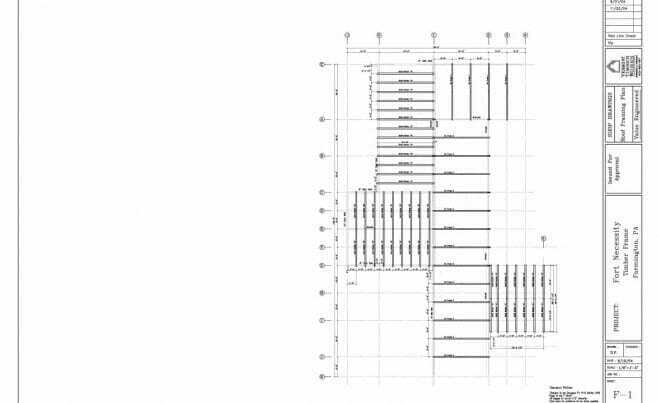 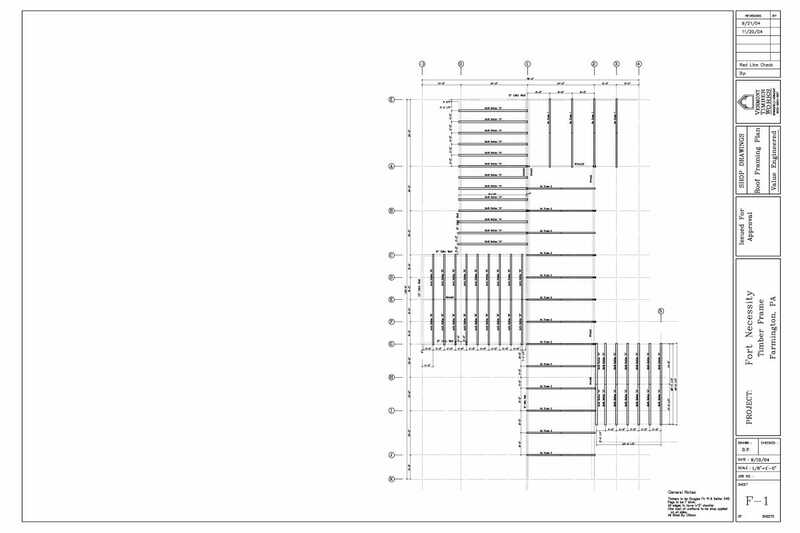 We worked with John Titus from MCDS Incorporated on this project.